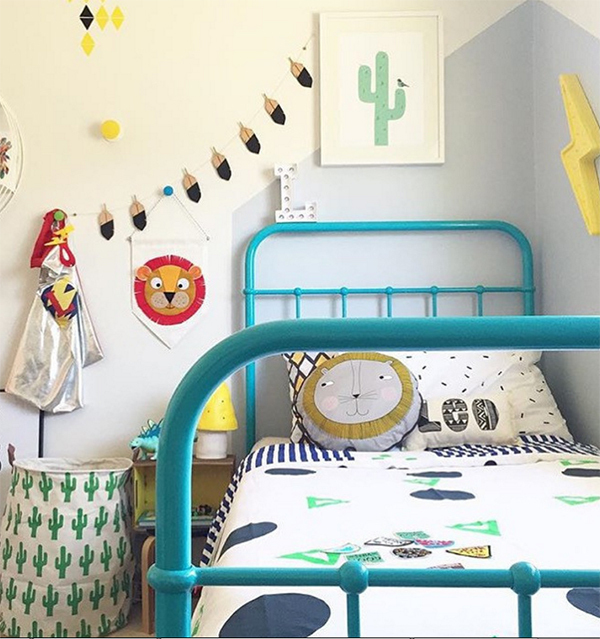 In the never ending quest to get kids to go to bed, we arrive at strategy #97: make their beds fun and bright with the sort of kit you get at Bramwell Designs. There is nothing subdued or muted about this bedding, but we’d argue that going to bed with a joyful feeling is probably good for keeping scary shadows and closet monsters away. Anyway, who could feel scared or resist bedtime when it means sinking into a delicious, pillowy nest made from the 100s & 1000s Doona ($170) with its pink and white candy stripe border? 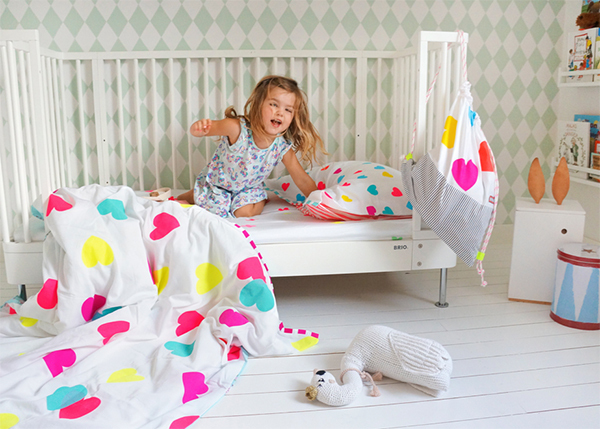 Give a kid the Super Hero Doona ($210) cover with its contrasting black spots on white and electric blue striped trim and she might be inspired to do a few death-defying leaps into the air before settling in to snooze. But exercise is meant to make for restful sleep, so maybe it’s a good thing. Bramwell Designs knows good patterns and good quality. 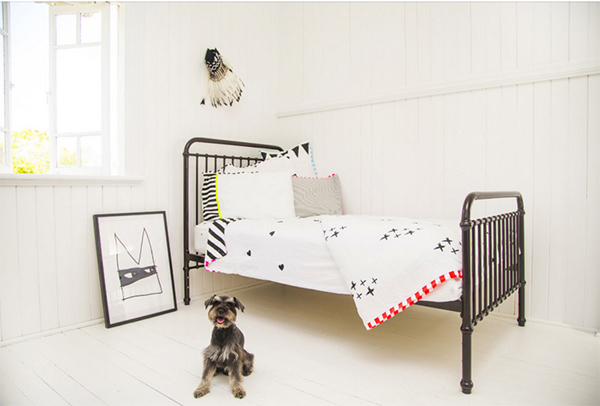 The products are all designed and made in Australia, and bedding is made from 100 per cent organic cotton sateen with a 300 thread count. 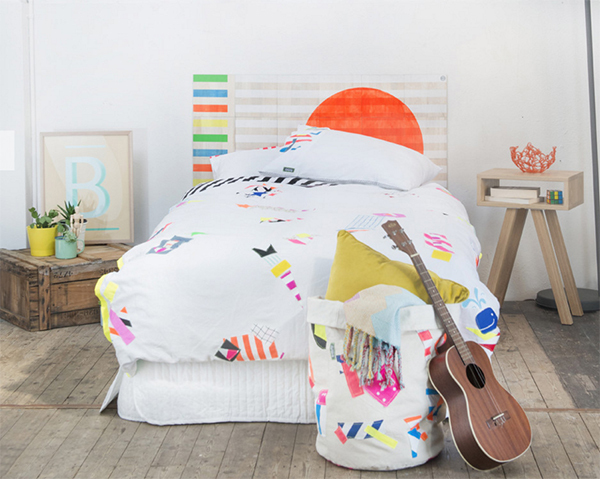 We love the customisation options, from choosing the print for the reverse side of a doona cover to working with the designers to create a completely unique design. As well as doonas, sheets and pillow cases, Bramwell Designs also makes baby muslins, swags and even dolls’ bedding, because Teddy’s bedding simply must be aesthetically in sync with the rest of the bedroom. You can buy directly from Bramwell Designs, and if magical bedding won’t help with the whole going to bed and staying there battle, try our tips.